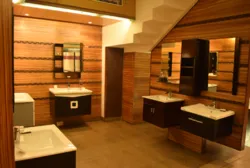 Banking upon our in depth knowledge, Bansal Sanitary Store founded in 1981 is considered as one of reliable manufacturer, wholesaler, trader and retailer of a wide array of Steam Bath Unit and Colston Shower Panels. 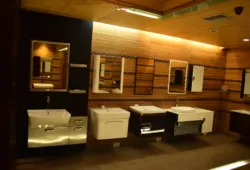 We are widely acknowledged by our esteem clients for providing premium quality Bathroom Airfoil, Bathroom Accessories and Toilet Accessories. Our clients highly appreciate our products for their ultra-modern design, innovative look and longer durability. 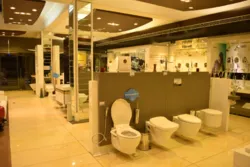 We offer a world of choices, comfort convenience, elegance and showcase a soul stirring series of bath fittings, futuristic bath tubs and panels, fascinating sanitary ware, contemporary wall & floor tiles, and lots more. Add to that our customer-centric as well as quality-focused business policies have been enabled us to muster a large client-base in this competitive market. 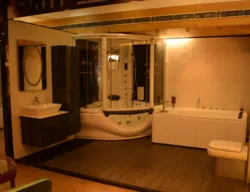 With the help of advanced production facilities, we have been offering quality Steam Bath Unit and Colston Shower Panels in varieties of design with high strength and durability. Our fully fledged infrastructural unit assists us in developing modern product line to meet the decor of every establishment. 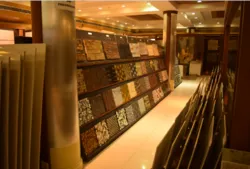 We provide high quality range to create a long lasting impression. 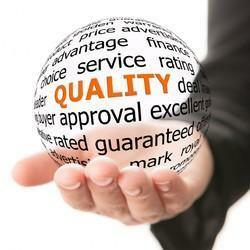 We make sure that our offered range goes through a stringent quality check process after it is manufactured. Our adept specialist, skilled designers, efficient labors aim and matchless resources enable us to serve the demands of various sectors with quality at the best prices. Our organization has witnessed enormous success and growth under the efficient guidance and leadership of our mentor Mr. Akshit Bansal. His entrepreneurial skills and managerial abilities have developed expertise in manufacturing products which has excelled us gaining a strong presence in the market. We have implemented team of assiduous professional that have wide proficiency of this domain. With the perfect blend of these professionals'''' skills and our infrastructure system, we have been able to gain remarkable success. Ethical business adroitness of team has enabled us to fulfill precise requirements of our clients. Our team comprises of procurement agents, production engineers, craftsmen, warehousing personnel, packaging experts and sales & marketing professionals. By working within close coordination, they ensure hassle free product deliverance. From taking care of client’s specifications to charging economical rates, our team endeavors focus at winning trust of clients. We pack the range in tamper proof and quality packaging to keep them safe during transit. 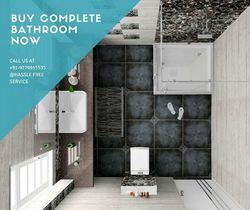 It''s the sophisticated as well as wide infrastructural facility that supports us in providing Exclusive Kohler Bathroom Fittings and Chinaware, Colston Steam Bath Unit and Shower Panels, Readymade Vanity sets and more than 1400+ washroom designs comprised of beautiful Imported and Indian tiles.. Further, we have effectively segregated our wide sprawling area into different divisions like production, manufacturing, quality-control, warehousing and packaging. These segregated units work excellently, and create a sound harmony among each other that results hassle-free working. All the divisions are properly installed with the latest technology including material, machinery, tools and equipment. Most importantly, a team of experienced professionals take care of the units and ensure flawless work processes. Products in conformation with the international standards.